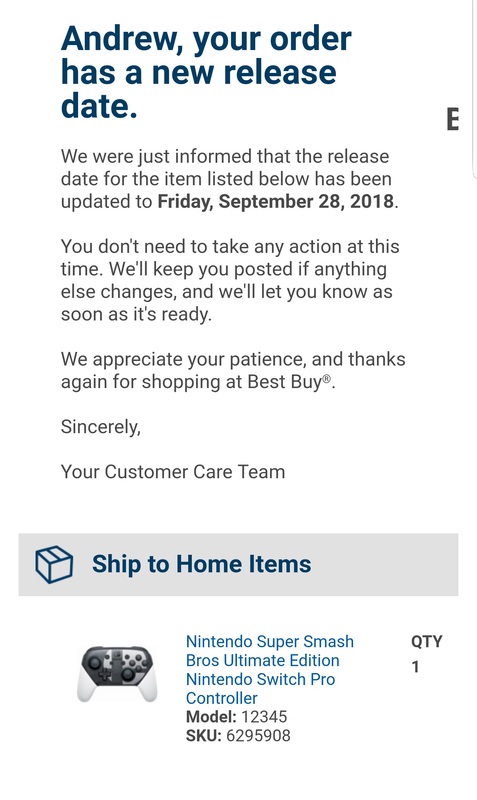 Earlier today, Best Buy sent a surprising email to customers who’ve pre-ordered the Super Smash Bros. Ultimate Edition Nintendo Switch Pro Controller. The email says that the Super Smash Bros. Pro Controller “has a new release date”, which is September 28, 2018. 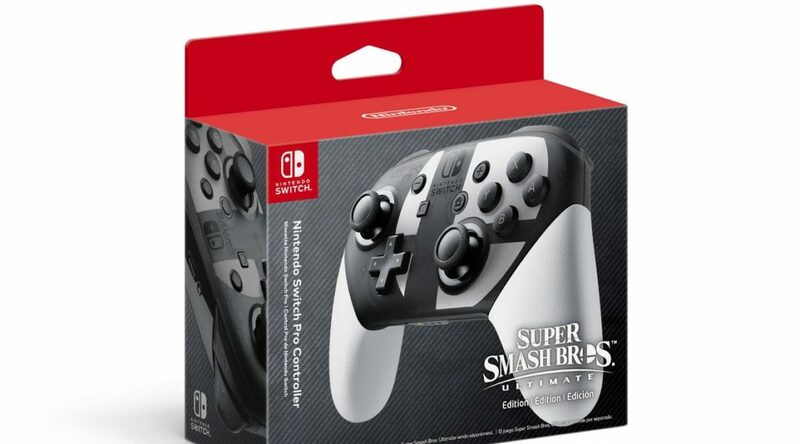 It’s a very strange situation given that Nintendo has previously announced the controller will be out on December 7, the same day as Super Smash Bros. Ultimate. Multiple users on Reddit have voiced out receiving this strange email, so we know it’s not sent out by mistake. What do you think is happening? Let us know below! UPDATE: The official website is listing the new release date too.